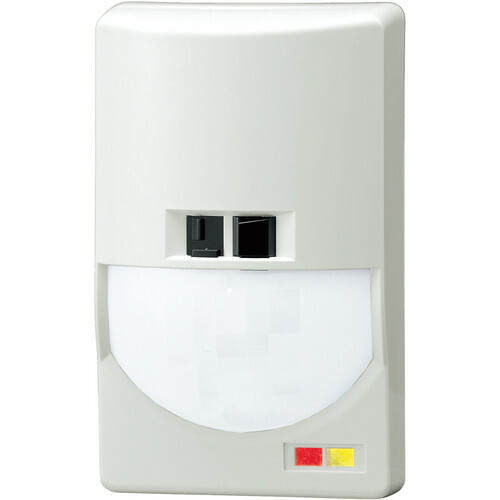 The Optex CX-502AM Wired Indoor Passive Infrared Detector with Anti-Masking Technology offers disturbance-free performance with multi anti-masking technology that prevents any kind of detecting disturbances by applying and developing various forms of anti-masking optical technology. Twin-windows detect with high sensitivity the variations of optical expansions and optical direction differences caused from 2 photoelectric detection beams. Patented quad zone logic prevents false alarms caused from spot temperature changes. Double conductive shielding of pyroelectric element for accurate detection. The double filtering and conductive metal shielding of the Pyro block out visible light and RFI, thereby allowing only infrared energy to reach the pyroelectric elements. Advanced temperature compensation for increased detection capabilities under high temperature conditions where the background temperature is similar to that of a human body. Maintains a high level of false alarm protection while providing accurate detection by automatically adjusting its sensitivity according to the environmental temperature. Low current draw, anti-magnet and silent relays, thanks to the photoelectric MOS relay. Sealed optics prevent drafts and smal insects from getting onto the pyroelectric element and eliminates the chance of false alarm. 3 selectable sensitivity settings (high, medium, & low). Selectable pulse count (standard or special). Durable & additional PCB protection cover. RFI protection with no alarm from a field strength of 30V/m within the range of 144 to 1,200 MHz. Easy wiring knockout and easy-to-view LED help you to easily install the unit. Low current consumption of 5mA. Anti-magnet feature employs the photoelectric MOS relay that are unaffected by magnetized materials. With invisible spray detection there are no worries about whether the sensor is covered with infrared beam impairing invisible sprays and the unit also recognizes black sprays. Detection of pasting disturbances and recognizes masking objects (e.g. invisible seals and stickers) pasted onto the PIR lens. Detection of disturbances in front of the unit and can detect black paper, which tends to absorb infrared rays, when put in front of the detector from 11.8" (30.0cm) away. An onboard circuit self-checks the operation of the detector at regular 5 hourly intervals to ensure that the unit is working properly. Initial alarm memory function indicates by a flickering LED which detector is activated first and is useful when several detectors are connected in one alarm loop.